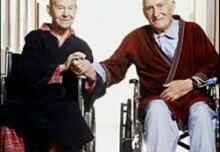 If you are a caregiver to an older loved one, chances are that you know if they are type 1 or type 2 diabetics. Type 1 individuals have been diagnosed with insulin-dependent diabetes where the pancreas no longer functions. Type 2 have been diagnosed with diabetes and been prescribed diet, exercise, oral medications or insulin to manage their blood sugar levels. 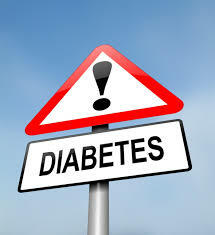 But there is another number that you need to know that will help you to identify another category, the pre-diabetic. Is your loved one age 60 or older__…answer yes or no to each of the age questions. Is your loved on extremely obese__…answer yes or no to each of these. Next, if your numbers tell the same story I strongly encourage you to get your older loved one to a health care provider to be properly tested. If their diabetes is confirmed, your loved one’s provider will prescribe an appropriate regimen that likely will include, diet, exercise and perhaps oral medication. But also help your loved one to begin a serious rethinking of their “health style.” If you look at the list of questions, no one can control their age, gender or family history. But the sum total of the “worst case” for each of these will not in the absence of other factors put your loved one in a risk category. But if one or both of their weight or their exercise routine are not in place, they will be at risk. As your loved one reviews his or her health style and they speak with their provider about appropriate steps to rectify their situation, you may also see an added benefit. They may ask you to come along to work out with them or to also share in a dietary shift toward healthy. So, the benefit is there for you, the caregiver, and for your care receiver.